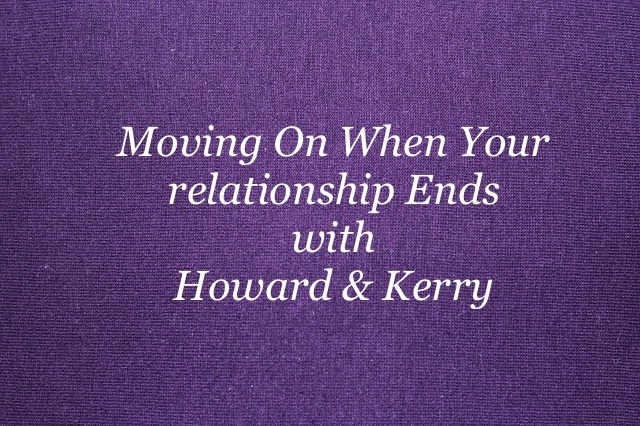 Many of you know Kerry and me as the founders and facilitators of the Moving On program. We have been so grateful for the opportunity to walk with you over the years. Let me give you a little history. We see how the wheel turns over time. When we first started the Moving on program we did not have an office or a classroom. We would travel from home to home of the participants, which created great excitement because for many people it was the first time in a long time that positive energy would be in their home. We would never know what situations we would find but what we always found was community, safety and a level of commitment that helped everyone move on from their past into a new life. Today, with the help of technology we are coming back to people’s homes. In fact, we will be in each of your homes as you participate in Moving On. You will feel the positive energy of your classes. You will feel the sense of community that is developed as we share our journeys with each other and support each other every week. Friendships have been and will be developed in Moving On that can last a lifetime. Yes, that’s right, we are so excited to come to your home live every week using online video. You can talk with each other, see the flip charts we use and participate in group discussions, all from the comfort of your own private space. Our inaugural six week program began on Monday, November 13th from 7:00pm - 9:00 PM MST. Please help us get the word out. Let your friends, co-workers, family...anyone you know who needs help dealing with a relationship ending and the challenge of Moving 0n and know that we are here to help. You can go here for the Moving On information and registration.